Cross country season is here. A total of six teams made their way to Strawberry Crest High School in Dover for the Easts Hillsborough Invitational to kick off 2017. The timers weren't scorching, but the temperatures were with a heat index of 104 degrees and humid, despite the 6:30 p.m. start time. The girls varsity runners were the first on the three loop course. Note: Coach Stephen Dunn contributed to this report. 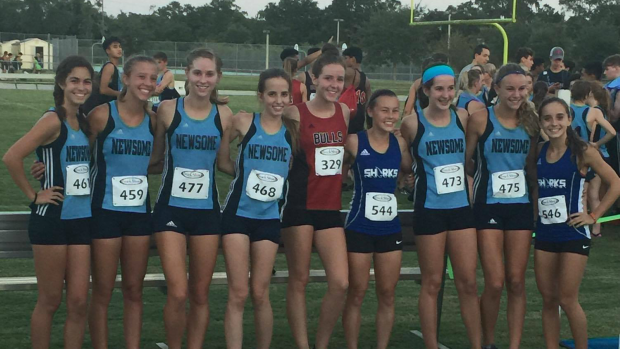 The event marked the debut for two-time 4A state champion Bailey Hertenstein who was making her debut as a member of the Newsome squad after transferring from nearby Riverview for her senior season. Hertenstein succumbed to the heat and dropped out just after the two-mile mark and had to be attended to by paramedics. The According to one of the coaches Stephen Dunn, Hertenstein is feeling better and will be back in action at the Lecanto Invitational on September 2nd. Hertenstein's former teammate, Alyssa Hendrix won the race in 20:12. who was the district and regional runner-up and was third at the 4A Cross Country Finals, picked up the victory in 20:14. Emma Solis of Newsome was second with Cassie Highsmith of Plant City coming in third. Newsome freshman Keleigh Scallon was an easy second for a majority of the race, before the heat took it's toll on her pushing her back to 4th. The Wolves took six of the top ten spots for an easy team victory with 26 points without Hertenstein. Look for them to be a serious title contender come November. Riverview was second with 58. Much like the Newsome girls, the boys came out swinging as well. Sophomore Dominic Acosta set a huge personal best crossing the line in 17:53 six seconds ahead of senior teammate Chris Pinedo and over a minute faster than the rest of the field. 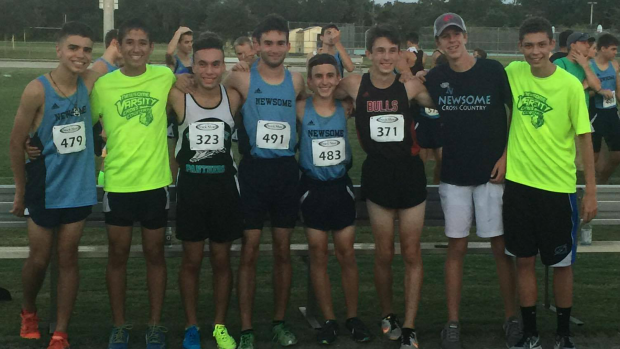 Bell Creek's Fernando Palacios rounded out the top three as the Wolves put six in the top ten to win with 17 points. Plant City was second in the team standings while Bloomingdale edged out Riverview by one point 83-84 to place third. The race was cooler due to the sun setting and that was evident in the faster times of the day. 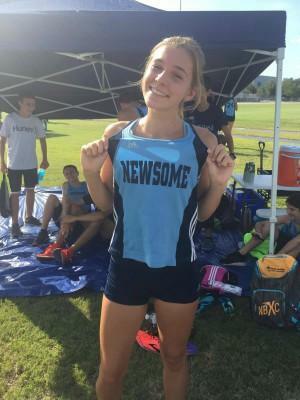 Newsome dominated the mixed JV race in both genders.